Peter Stevenson is a childrens’ book illustrator, storyteller, writer, musician, folklorist and purveyor of Magical Lantern Shows, which tell tales of dancing bears and dolls, of mermaids and selkies, of fairy folk and fossicking foxes, of changeling children and conjurors, hares and harey witches, magic and Mr Georges Méliès. He has illustrated over 200 books, many for Ladybird, the National Trust and Fernleigh, and has recently produced several books in Welsh, including Byd heb Tylwyth Teg/No Fairies, and has currently been writing articles on storytelling for Planet, the Welsh Internationalist. 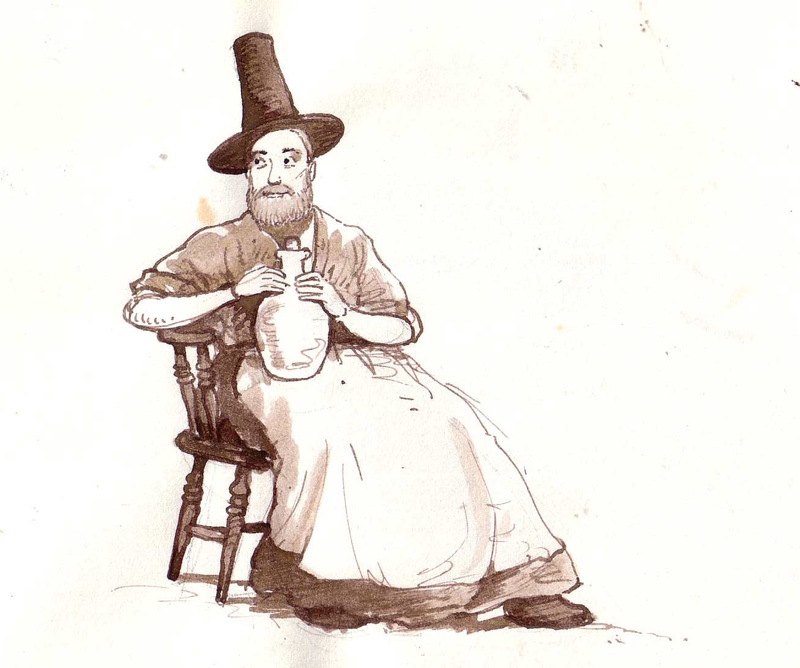 He lives in mid Wales with his head in the clouds and feet in the mud, from where he tells tales as A Cabinet of Curiosities and jointly runs the storytelling groups The Magical Illuminarium and Red Cloak. He has produced a new storytelling show The Dancing Bear and the Doll specially for the Festival, inspired by the exhibition in Oriel 2, Petrified in Storyland.